As modern football becomes ever more focused on great players being defined by how many trophies they have won, one man bucks the trend. His trophy cabinet may look a little bare but few can match the influence and importance of Francesco Totti on the Italian, and indeed global, game. Likewise, few can boast of a highlights reel quite like his. From audacious long-range chipped efforts such as against Inter in 2005 to a truly sensational volley from the acutest of angles that had Sampdoria fans on their feet, the No.10 could do it all. Born in Rome on 27 September 1976, his hometown would come to define Totti, and vice versa. Well before it was determined that he would spend the rest of his career and life there, Totti stood out even as a child as soon as a ball was placed at his feet. Fellow Roman and future Lazio captain Alessandro Nesta, who faced Totti in the Italian capital’s youth football leagues on numerous occasions, saw his rival’s precocious talent before much of the rest of the world was let in on the secret. “Totti, what a story!” the former Italy centre-back told Corriere dello Sport when reminiscing about his childhood encounters. “My first meeting with him was when he was at Lodigiani youth club, in a match against Lazio. Making waves in youth football soon brought Serie A’s big boys calling, and an approach from AC Milan was swiftly rejected by the youngster’s mother, who was keen to keep her son close to home. Yet history could well have taken a different path, as Lodigiani reached an agreement to sell him to Lazio. Only an intervention by a Roma youth coach prevented the unthinkable and ensured Totti signed for his beloved Giallorossi. 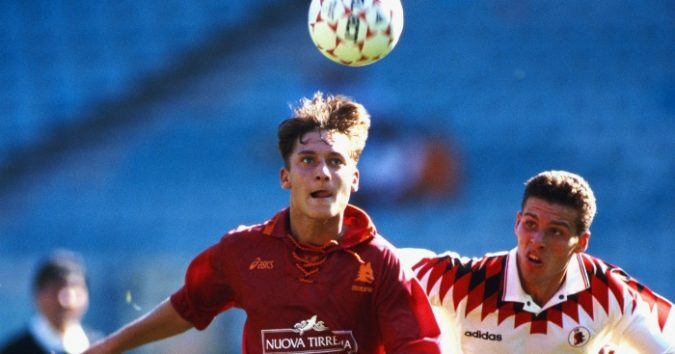 Having caught the eye in childhood, the Roman was barely into adolescence before he was capturing national attention with a debut for Roma at the tender age of 16. Thrown in by coach Vujadin Boskov in an away trip to Brescia on 28 March 1993, Totti immediately drew comparisons to Lupi icon Amedeo Amadei, who had debuted for the club as a 15-year-old in 1937. Yet it would be the following season when Italian football’s latest prodigy would establish himself in the first team. 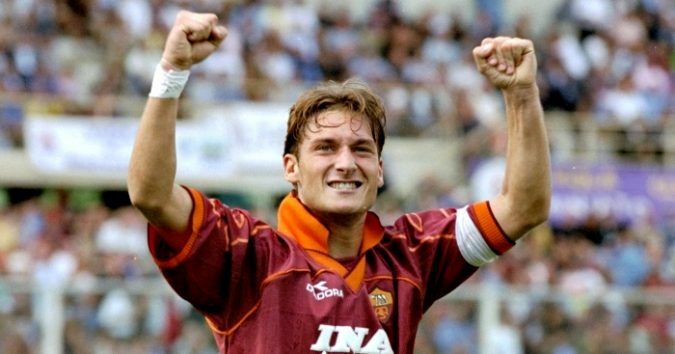 Under Carlo Mazzone, Totti began to enjoy regular playing time and netted his first professional goal in September 1994 in a 1-1 draw against Foggia. The attacking midfielder was developing rapidly and with the arrival of Zdenek Zeman on the Stadio Olimpico in 1997, his natural brilliance burst through. Deployed on the left of Zeman’s frontline in an attack-minded 4-3-3, Totti become the creative focal point of the team and was rewarded with the coveted No. 10 shirt at just 22 years of age, as well as the captaincy. They would prove to be two honours that he would not relinquish until retirement. 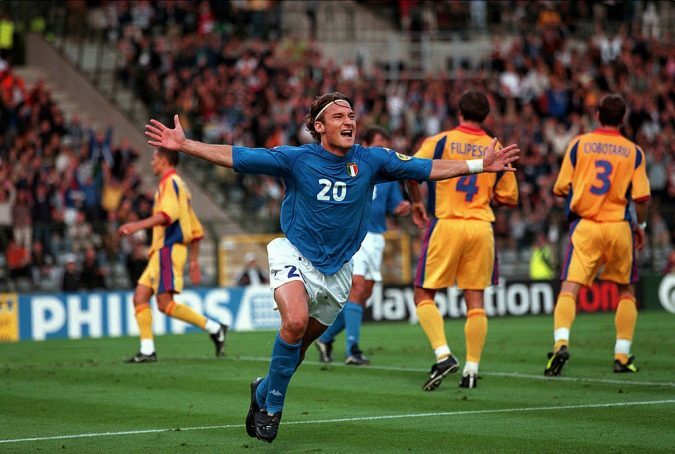 His superb domestic form led to increasing influence on the international stage, and he stood out as Italy looked destined for the European Championship crown in 2000. Sending the Azzurri through to the final with the coolest of panenka penalties in a tense shootout against hosts the Netherlands, Totti was unable to prevent France completing a heartbreaking golden goal turnaround. After Zeman came Capello and Totti’s first taste of success. Fresh from being named the Serie A Young Player of the Year in 1999, he was forged as Capello’s trequartista in an expensively-assembled squad gunning for the Scudetto. 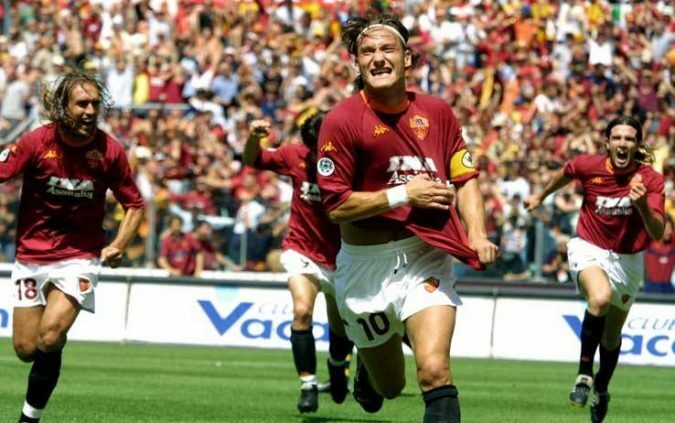 Having watched on as Lazio claimed the league at the turn of the millenium, Totti achieved immortality in the eyes of the Curva Sud as he inspired Roma to glory the following season with a series of sensational performances as a playmaker. Fittingly, it was the Rome-native who scored a decisive goal to set his side on their way to a 3-1 victory over Parma on the final day and seal a first title since 1983. 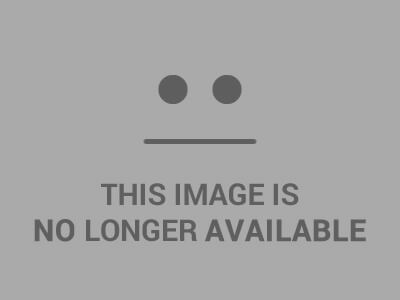 That joy was shortlived however, as barren years of mediocrity followed for the Lupi. Totti, meanwhile, was faced with turmoil of his own, after Roma accepted a bid from Real Madrid for their star man. Weighing up the opportunity to become a Galactico, the Giallorossi captain endeared himself eternally to his audience by committing himself to Rome and Roma. Approaching his 30th birthday, Totti’s influence appeared to be on the wane, until coach Luciano Spalletti found himself in the midst of an injury-crisis amongst his strikers in 2005, and the captain reinvented himself once more. Operating as the original ‘false nine’, the newly reformed forward led the Giallorossi to an 11-match winning streak, before fracturing his leg against Empoli in February and facing a race against time to be fit for the 2006 World Cup. Having played little to no football in the build up to the tournament in Germany, after a brutal recovery schedule, Totti starred as the Azzurri lifted their fourth title. The No.10 played crucial roles in victories over Australia and the hosts, including firing in a stoppage time penalty against the former, to end a traumatic half-season as a world champion. Yet despite his international exploits, the then-30-year-old’s heart was still set on Roma, and he enjoyed a truly sensational campaign the following season. Revelling in the false nine position, a rampant Totti struck 26 times to top the goalscoring charts and earn the Capocannoniere crown, as well as the European Golden Shoe. The by-then iconic captain guided his team to two Coppa Italia triumphs in 2007 and 2008, before almost sealing the most sensational of Scudetti as Roma came within 30 minutes of pipping Jose Mourinho’s all-conquering Inter to the league title. What followed proved to be less memorable for Totti, as injuries and a lack of form saw his influence wane. That is, until the Lupi hit their lowest ebb with a cup final defeat to Lazio, bringing about the arrival of Rudi Garcia to the bench in 2013. 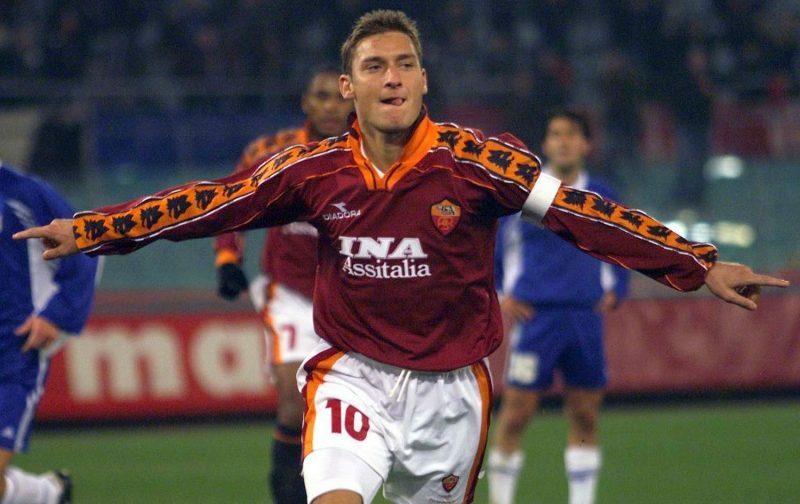 A new-look Roma took the league by storm as Totti shifted back to being creator-in-chief, but ultimately fell away at the business end of the campaign. It would signal a resurgence for the captain, who at 38 became the Champions League’s oldest goalscorer with a deft finish against Manchester City in October 2014. However, with Roma collapsing at an alarming rate, Garcia was dismissed in early 2016 and Spalletti brought back for what was expected to be a triumphant return. It would spell bad news for Totti however, as his former tactician sought to curtail his influence on the squad and deployed him as little more than a super-sub. Despite the mounting tension, Totti came off the bench to score a number of crucial goals as Roma clung on to a Champions League spot, including a late brace to turn around a miserable match against Torino and seal a 3-2 win. The bitter and public feud continued to fester until both men saw their days at the Olimpico numbered. Spalletti jumped ship for Inter at the end of the 2016/17 season, whilst Totti announced in May that he would be retiring at the end of the season. When the day that Roma fans across the globe thought unimaginable finally dawned, a crucial final day clash against Genoa, it proved to be more party than football match, with proceedings on the pitch an afterthought. Afforded a mere 40 minutes, the 40-year-old helped the Giallorossi to a late 3-2 victory before embarking on an emotional lap of honour around a stadium that had long been made his own, in front of a fanbase that had worshipped him for more than two decades. Tickets were at a premium as supporters flocked to catch one last glimpse of the man who had come to epitomise Roma and define a generation. A club record 307 goals in 786 games means Totti has achieved immortality at Roma, but he deserves to be celebrated by the wider calcio community as one of the most creative, naturally gifted and greatest products of the Italian game. Indeed, he has become a symbol of loyalty and the love of a crest above all else, sacrificing much greater shots at glory to serve Roma through their most turbulent spells. There was more than just the sensational goals to Totti, who made a habit of taking young players such as Antonio Cassano under his wing. Ever the showman, his incredible Derby della Capitale scoring record against Lazio gave ample opportunity to showcase unique and humorous celebrations, with an iconic selfie in 2015 ingratiating him to the fans yet further. For Totti, football has never solely been about the medals. Few players reach iconic status and are so worshipped by their own people as to become synonymous with their club. Yet, there is and will only ever be one Francesco Totti. As the Curva Sud continue to loudly proclaim, c’è solo un capitano.